Regional broadcasters and newsmedia companies - including, whisper it, the occasional print publisher - are among those lined up to provide content for Twitter. The platform - which apparently doesn't see itself as a "social" platform - announced deals with more than 50 Asia Pacific partners during a two-day TwitterFronts event modestly dubbed 'All that Matters'. "We're a platform to connect with what's going on in the world, whether it's entertainment, lifestyle, news or sports," global video solutions director Ryan Moore told the glitzy gathering in a marquee in Singapore this week. The mass of partnerships - an increase of 60 per cent on last year - included Australian broadcasters SBS, Seven and soon-to-be print publisher Nine, as well as digital publishers The Quint, Vice SEA, Bloomberg, Buzzfeed and property portal Domain. Nineteen of the 53 partnerships - some of which renew existing agreements - include live streams, promising "hundreds of hours" of live and highlight content. 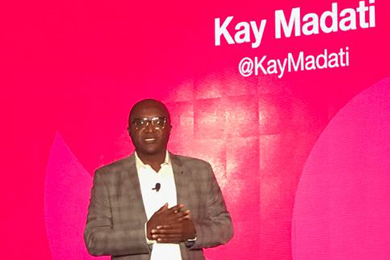 Global content partnerships vice president Kay Madati said the expanded set of Twitter partnerships across Asia Pacifici region would take them "deeper and wider" across content categories of news, sports and entertainment in response to user requests. "People tell us what they want to see," he said. "On Twitter, the world's best content is shared with a truly engaged audience." Madati Twitter described Twitter as "the ultimate mobile platform where video and conversation share the same screen, allowing brands to be part of a cultural zeitgeist in real time". Maya Hari told her audience.